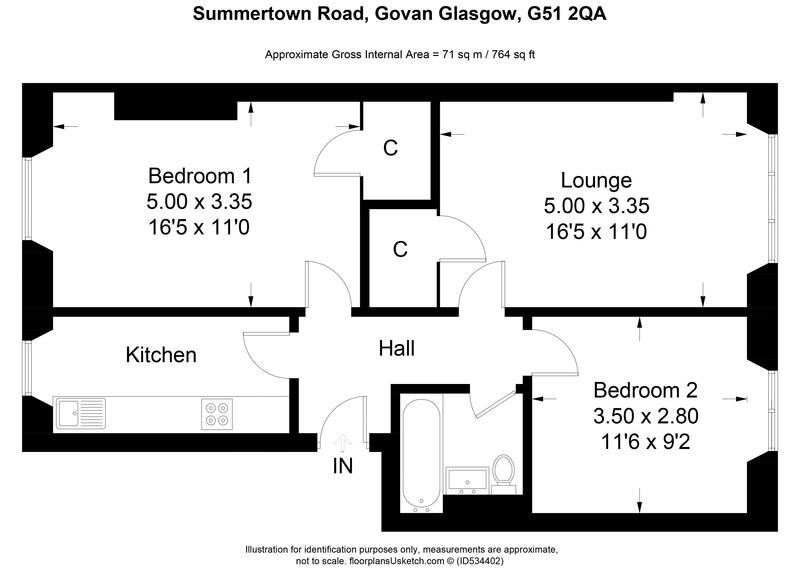 2 bedroom Top Floor Flat located in the ever popular area of Govan, Glasgow. 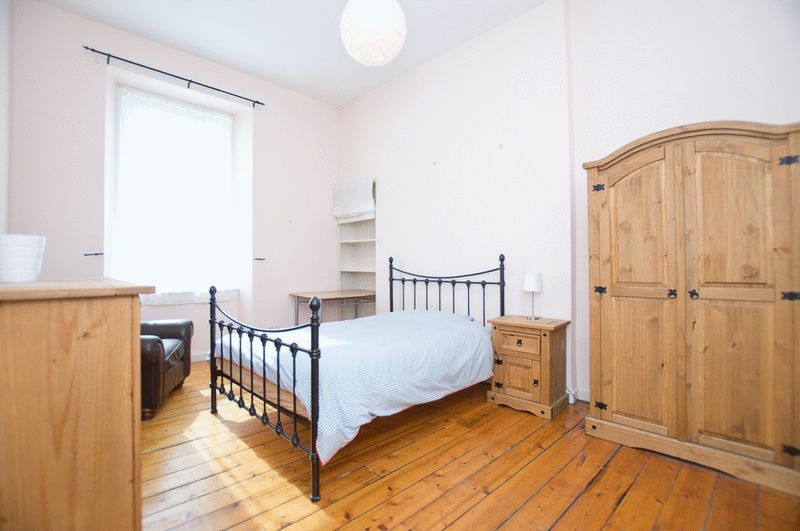 Featuring a blend of well-maintained traditional tenement features combined with the modern touches, kitchen and bathroom with shower over the bath. The accommodation extends to a secure door entry system providing access to the well-maintained communal stairwell. 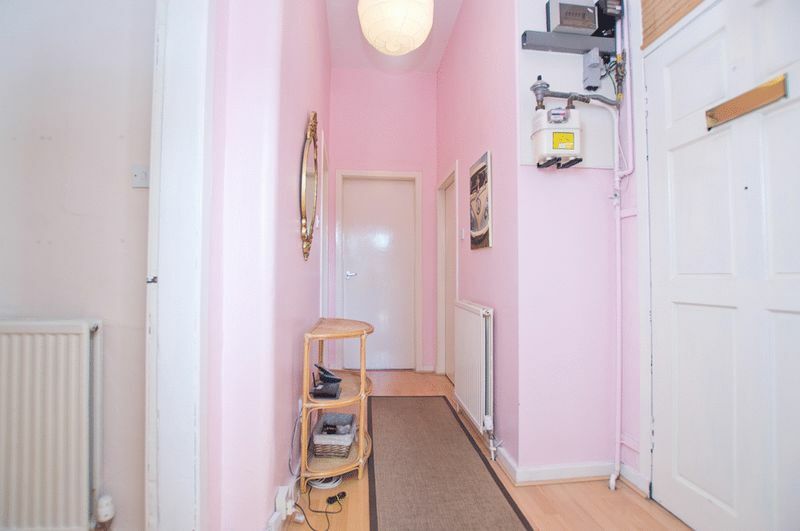 The front door leads to the inner hallway with doors off to kitchen, bedroom 1, bedroom 2, bathroom and Lounge. 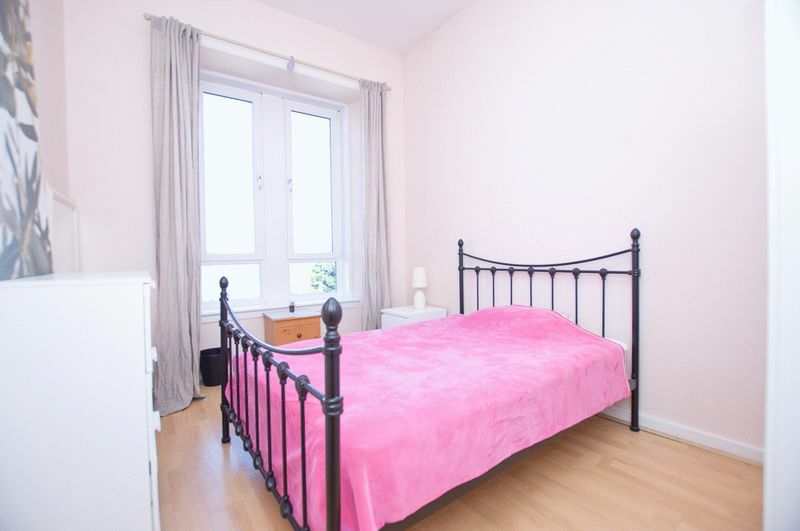 To the rear of the property is the master bedroom with feature deep picture bay windows overlooking the south facing rear drying green; retaining many of its original features such as ornate coving, high skirtings and central ceiling rose; door off to large walk in cupboard. 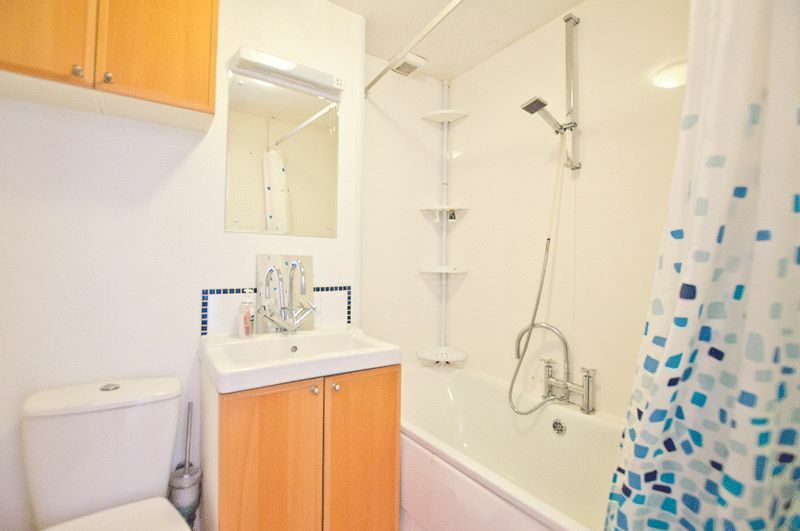 The bathroom consists of a 3 piece white suite including bath with wall mounted shower over the bath. The kitchen is galley styled with space for wall table and chairs consisting of floor and wall mounted units with contrasting work surface incorporating a stainless steel electric oven, gas hob, cooker hood, and stainless steel sink. 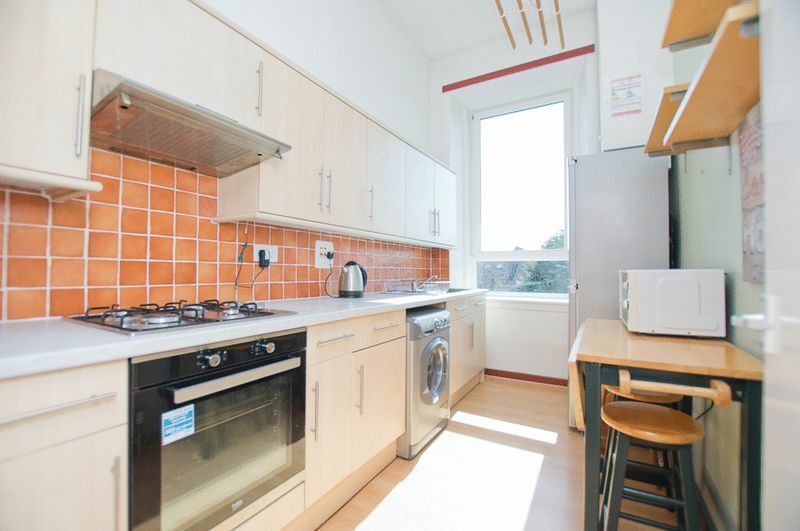 The large south facing picture window allows ample light daytime into the bright kitchen. 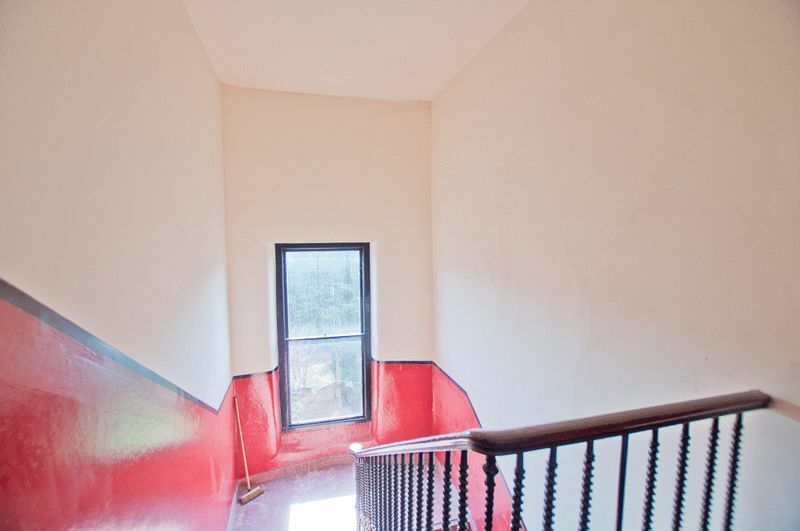 The stairwell is well maintained by the appointed factor as is the well looked after rear courtyard. 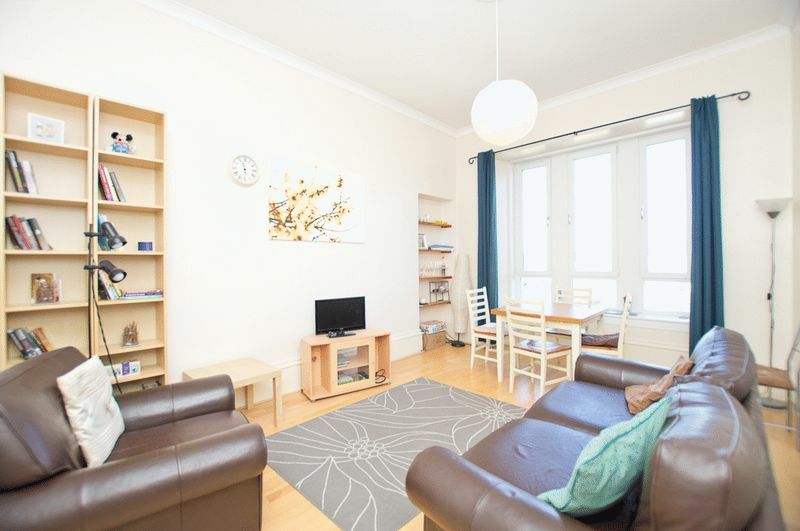 Summertown Road is conveniently located a short walk from both bus and underground links where easy access is available into Glasgow City Centre. 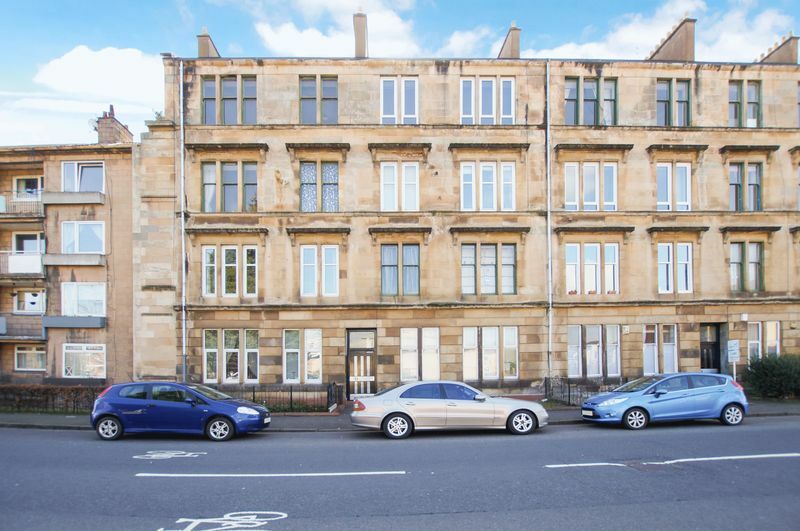 For the car driver it is also handy for access to the M8 motorway network, on street parking is available. 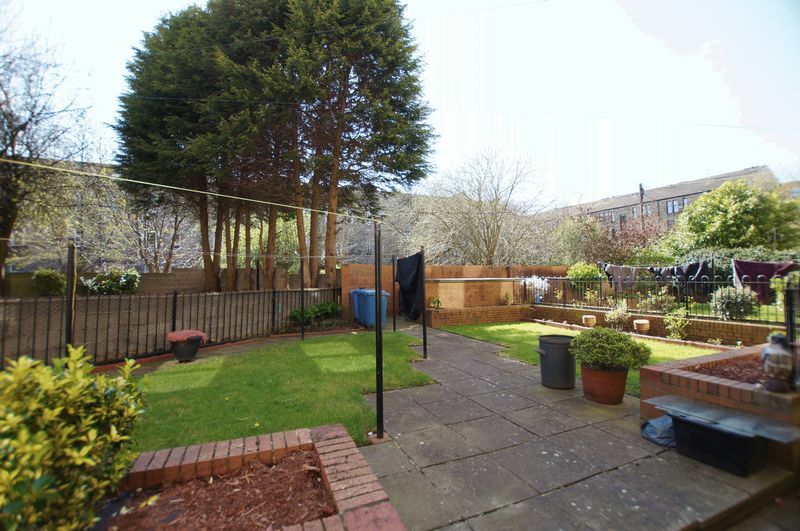 Local shops are nearby but being under 5 miles from Glasgow City Centre the property is positioned a short distance away but still close enough to easily take advantage of all that Glasgow has to offer.